In the heart of Germany’s Saar Valley lies the wine-producing village of Wiltingen. Best known for its top vineyard Scharzhofberger, Wiltingen is also home to a wine estate whose foundations can be traced back to the ancient Romans, that of Van Volxem. As a former domain of the 18th century Luxembourg Jesuit Order, this domain once, and now again, possessed parcels in the heart of the most famous vineyards in Wiltingen Braunfels, Klosterberg, Gottesfuss, and the aforementioned Scharzhofberg. This excellent portfolio has expanded with the purchase of 2.5 hectares in Kanzemer Altenberg and 8 hectares in Wawerner Goldberg. All of these vineyards are rated within the two highest classes of the 1868 Prussian vineyard classification. About 96 percent of the 69 hectares of steep-slate vineyards are planted with Riesling end 4 percent with Weissburgunder. The average vine age is approximately 40 years old. In the top growth Wiltinger Gottesfuss, one of the steepest and most renowned vineyards, Van Volxem possesses an extreme rarity 130-year-old pre-phylloxera vines. Van Volxem was acquired in 2000 by Roman Niewodniczanski and tastefully restored. With the addition of cellar master Dominik Völk in 2004, the goal has been to strive for the highest quality and so returning Van Volxem to its former glory. 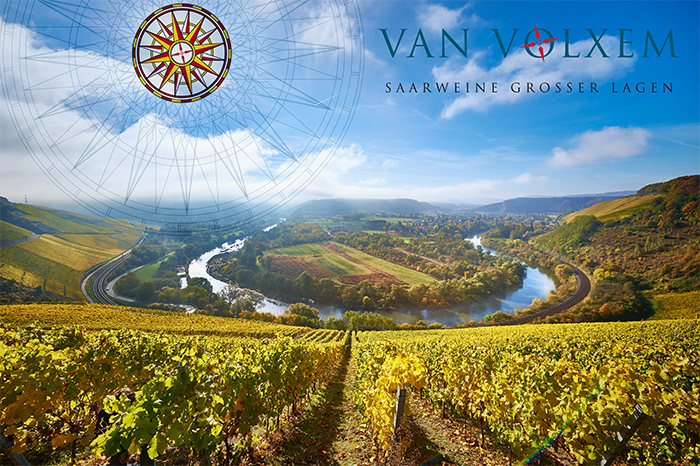 From the best slate vineyards of the Saar, and with the help of low yields averaging just 40hl/ha, emerge finely textured, fruity and elegant wines showing a clear terroir profile, enormous in depth, and ageing potential. From the use of pristine genetic material of mostly ungrafted vines (séléction masale), labor-intensive work, including organic growing methods, and highly selective hand harvesting were important to Roman Niewodniczanski. The goal for these handcrafted wines is to retain the characteristics from each specific vineyard in the bottle. Upon beginning the harvest usually in late October, the fully ripe grapes are selectively handpicked in three passes. After a careful crushing and short maceration, followed by a gentle pressing, partly with modern basket presses, the must vinifies very slowly in mainly traditional wooden Fuder casks along with stainless-steel tanks. In order to keep the unique style of each vineyard, indigenous yeasts are used. With the exception of the botrytized specialties, Van Volxem’s wines fall within the spectrum referred to as “harmoniously dry”, an ideal partner for many aromatic dishes. 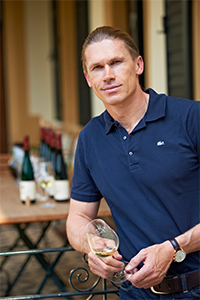 Thanks to Van Volxem’s low yields and late harvests, ripeness levels in the much-desired Spätlese and Auslese categories are commonplace rather than exceptions. As during the time around 1900, Prädikat designations are avoided for the wines. Only fruity to nobly sweet wines have the addition “Kabinett”, “Spätlese”, of “Auslese”. The five “Grossen Lagen” (Grand Cru) wines are not sold before September following the harvest. These are wines to be consumed with food. They are moderate in alcohol, ripe in acidity, and complex in structure. Their special character comes from the stony, mineral-rich slate soils of these fascinating steep slopes—relics of over 400-million-year-old marine deposits.